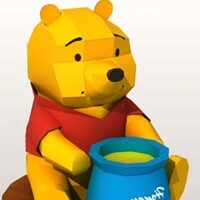 This Pooh Bear paper craft I believe would be the last model release in this October. Actually I missed one model from cartoon category this month, it is Smurfette paper craft and I will make it on November. I haven't found Winnie the Pooh paper craft template yet around on the internet so I decided to make it one. The template only has 2 pages. In this template I try new glue tabs, this is the result of your answers on my question about glue tabs at Paper Replika Facebook page and Twitter. One more member of Roundup gang added to Paper Replika Toy Story collections, it's Bullseye. I made this paper craft in the same scale with other toy story characters figurine. Its Legs are fixed not like Woody and Jessie that using flat and flexible joints. 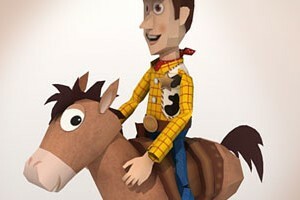 I made it that way so this horse can stand still while Woody or Jessie ride on its back. You can get Woody templates here. The templates contains 6 pages. Okay enjoy this papercraft have fun with it :) . 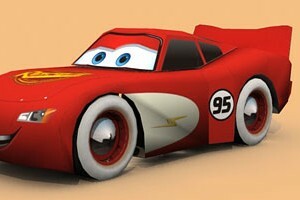 Inspired by a commission papercraft project from a local kid's magazine I made this Lightning Mc Queen papercraft. 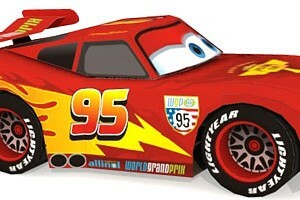 The magazine version is Mc Queen with a modern racing styling color, but this one is another paint job version that is done in Radiator Spring, a classic one. Although it is the same subject from the magazine but this papercraft is a different templates, not just a recolor. I already enhanced the 3d model, so the result will going to be smoother and curvier. If you want to have the modern racing styling one you have to buy Kiddo magazine on the next edition, I think.